UCSC astronomer Sandra Faber and her husband made the lead gift to establish an endowed chair named in honor of Faber’s mentor, distinguished astronomer Vera Rubin. 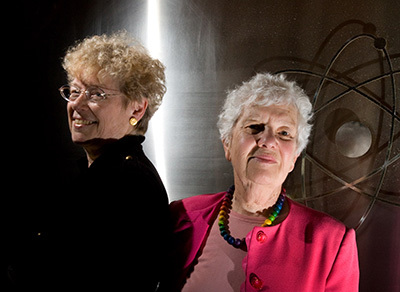 UC Santa Cruz has received gifts and matching funds to establish a $1.5 million endowment for the Vera Rubin Presidential Chair for Diversity in Astronomy. The endowed chair was created to advance the cause of diversity, equity, and inclusive excellence in astronomy. The holder of the chair will embody the spirit of diversity in one of a variety of ways, such as their proven ability to attract and train new astronomers from all walks of life. Sandra Faber, professor emerita of astronomy and astrophysics at UC Santa Cruz, and her husband Andrew Faber launched the campaign for the Rubin Chair with an initial gift of $250,000. The chair is named for the distinguished astronomer Vera Rubin (1928-2016), who was a champion of inclusivity in science. For Sandra Faber, who worked with Rubin at the Carnegie Institution of Washington early in her career, the more experienced astronomer served as a model of a successful woman in a field dominated by men. “At a time when few women succeeded in science, especially astrophysics, Rubin began to pave the way for all members of underrepresented groups,” Faber said. Rubin helped transform modern astrophysics through her research on the rotation rates of galaxies, making crucial contributions to the evidence that galaxies and stars are immersed in the gravitational grip of vast clouds of dark matter. Faber said she learned a lot about how to be an astronomer while working alongside Rubin, from how to give a scientific talk to the importance of careful measurements and respect for the data. “She was playing in the big leagues, and she was also raising a family. It told me that I could do this too,” Faber said. Dozens of astronomers from varied backgrounds remember with gratitude Rubin’s deep interest and encouragement of their budding careers. Her passion to open doors to all qualified persons makes her the perfect namesake for UC Santa Cruz’s newest endowed chair, according to Enrico Ramirez-Ruiz, professor and chair of the Department of Astronomy and Astrophysics. A novel feature of the Rubin Chair is its emphasis on using the proceeds from the endowment to enhance the department’s ability to attract and support aspiring astronomers from underrepresented groups, he said. Endowed chairs are typically used to pay the salary or support the research of the chair holder, whereas the holder of the Rubin Chair might use the funds for graduate and postdoctoral fellowships or undergraduate research internships. “The Rubin Chair will be a bridge of support across cultural, ethnic, and economic hurdles to engage the brightest minds in astronomy,” said Ramirez-Ruiz, adding that diversity is a source of strength and excellence for the astronomy department. Women have composed half of UC Santa Cruz astronomy Ph.D. students for more than a decade, and 30 percent of current graduate students come from underrepresented backgrounds. 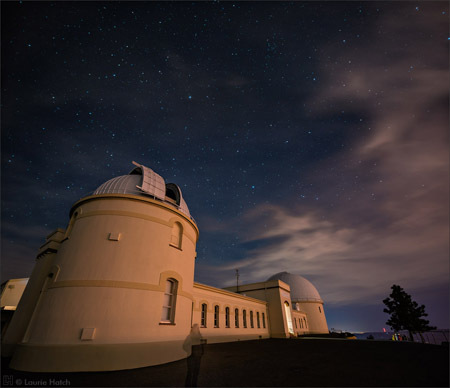 The department’s six active women professors are the largest tenured cohort of female astronomers in the nation, led by eminent scientists such as Faber and Claire Max, director of UC Observatories. Faber, like Rubin before her, has been honored with the National Medal of Science, the Gruber Prize for Cosmology, and many other awards and honors. Her research interests include cosmology, galaxy formation, and astronomical instrumentation. Faber has also been a driving force in the development and evolution of the Osterbrock Leadership Program, which offers leadership lectures, workshops, field trips, and other opportunities to all interested graduate students in the Department of Astronomy and Astrophysics. This program is unique to UC Santa Cruz and sets the department apart from all other top astronomy programs. It is also testament to Faber’s commitment to advancing the careers of young women and students from diverse backgrounds. In addition to the gift from the Fabers, which came from a significant portion of the Gruber Prize, the Rubin Chair endowment fund has received major contributions from the Heising-Simons Foundation, John and Barbara Crary, and an anonymous donor. Other donors include the Rubin family, Mark Headley, Claudia Webster, Joanna Miller, and Loren Kinczel. The UC Office of the President provided matching funds of $500,000.